KAMPALA. 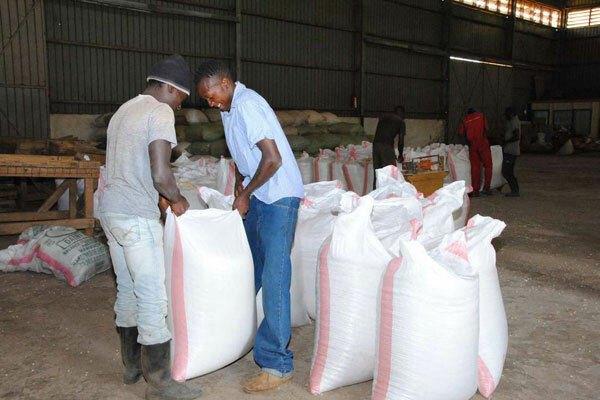 The Ministry of Agriculture, Animal Industry and Fisheries (MAAIF) has issued guidelines for post-harvest handling of grains to ensure food and nutrition security of all Ugandans and to promote increased incomes of Households. Mr Vincent Ssempijja, the minister of Agriculture, Animal Industry and Fisheries, said the purpose is to help reduce grain post-harvest losses as one of the key avenues for increasing food availability, reducing pressure on natural resources, eliminating hunger and improving farmers livelihoods. He explained that the ministry has written a precise advisory message on post-harvest handling of grains in Uganda to all districts across the country. “And the purpose of this message which targets all grain actors-farmers; Traders, Transporters, processors and Consumers, is to reduce losses of grains along the supply chain,” said Mr Ssempijja in a notice written to all Chief administrative officers in the country. He explained that the specific objectives of the advisory include; to increase the volumes of grains for human, livestock consumption and marketing, improve the quality and safety of grains for human, livestock consumption and marketing and to improve the shelf-life of grains marketed locally, regionally and internationally. 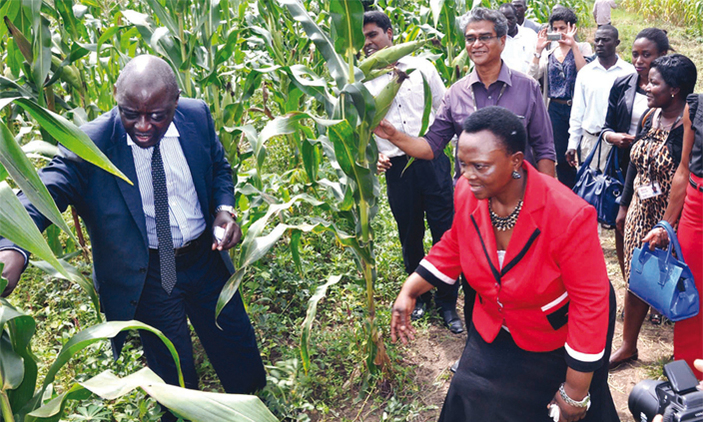 He said the ministry has given out a circular to be used by the production staff in the districts and sub-counties, front-line extension staff, all grain actors in your district and leaders at all levels. “And I request you to prepare and develop an appropriate Ordinance and By-laws on grain post-harvest handling in your district and sub-counties, respectively, using the provided message. General drafts will be sent to you for adaptation under a separate cover,” Mr Ssempijja added. Harvest maize when it is properly dry. That is, only when the stalks and collar sheath have turned brown and the cobs are hanging downwards. At this stage, the moisture content will be between 17-20%. During harvesting, use clean and dry harvesting tools and equipment such as carts, wheelbarrows, bags and baskets. Prepare clean, dry storage facility for the maize before shelling, for the case of small-scale farmers who don’t use modern harvesting equipment. Deliver harvested maize immediately to clean and dry equipment for temporary storage before shelling. Sort out maize cobs infested by insects, discoloured grains, moulded or physically damaged from good maize. Shell maize using bare hands or proper equipment such as manual hand shellers or motorized shellers. Avoid shelling maize through beating with sticks as this method damages the grains. Dry grains on a clean concrete slab, or use plastic sheets or tarpaulins. Farmers should avoid drying maize on a bare ground as this will contaminate the grains with soils or dirt and further allow fungal or mould growth. Dry maize under open sunshine, maize cribs or any appropriate drying facility up to a moisture content of 13-14%. Moisture content can be measured using a moisture meter. If the salt sticks onto the inner walls of the glass bottle, it confirms that the maize grains are not fully dried to the required moisture content. However, if the salt does not stick onto the inner walls of the glass bottle then it confirms that the maize grains are fully dried to the required moisture content. Sort, sieve or winnow maize grains to get rid of foreign matter and broken grains. Place bags on pallets above the floor to avoid cold moist conditions that may lead to moulds growth. Metal silos can also be used to store maize for a longer period of time (Six months and more). (iii) Never heap harvested rice on straws in large mounds. This will cause heat build-up, cracking and mould growth. (h) It should be located away from possible sources of contamination such as animal and human wastes, kilns, flour mills, and bone-crushing mills, garbage rumps, tanneries, slaughterhouses and chemical industries. (ii) It is advisable to thresh beans at a moisture content of about 14-15%. This is a point when beans pods are completely dry and easily open when threshed.